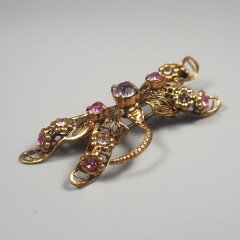 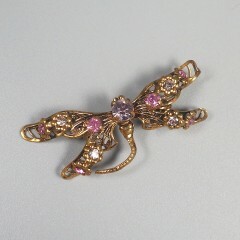 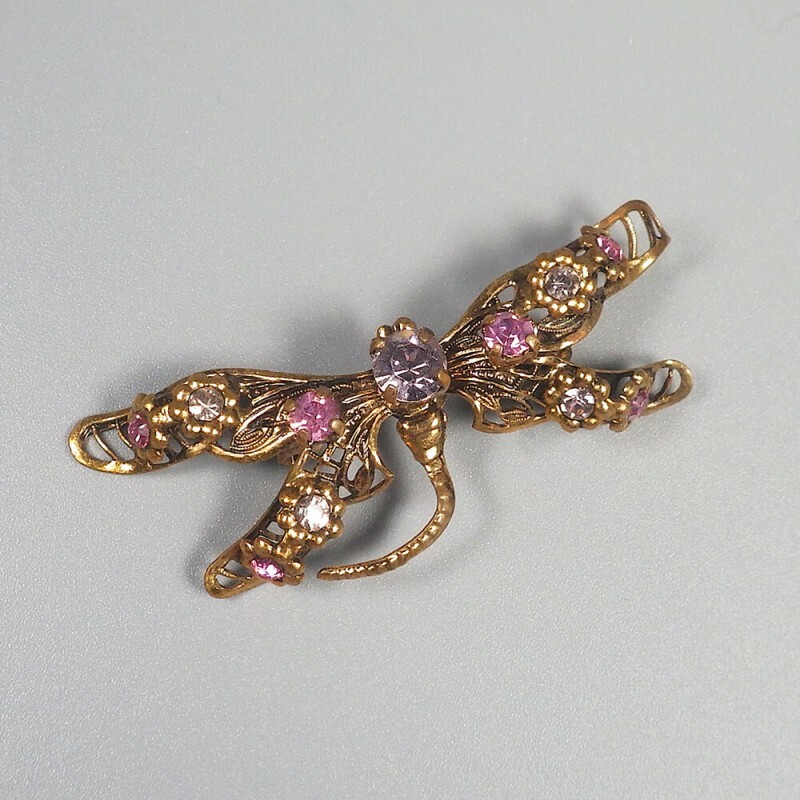 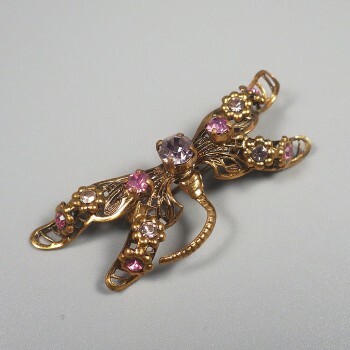 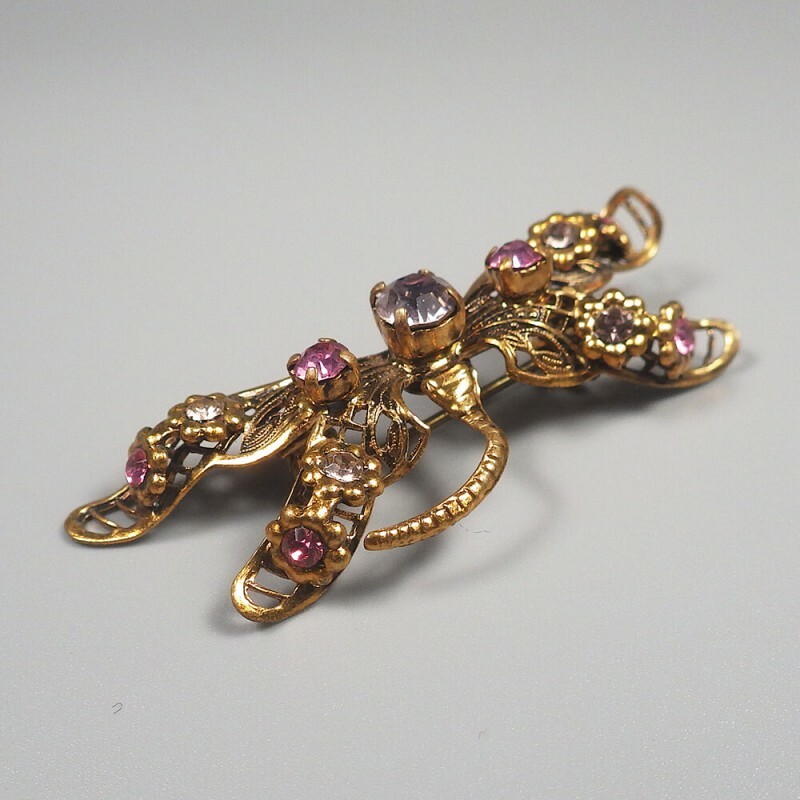 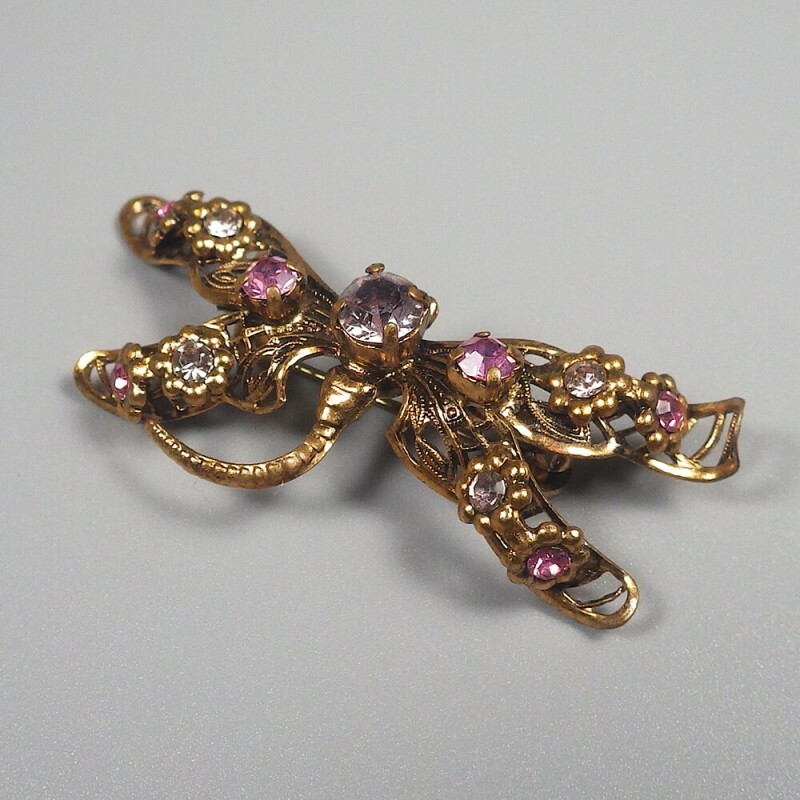 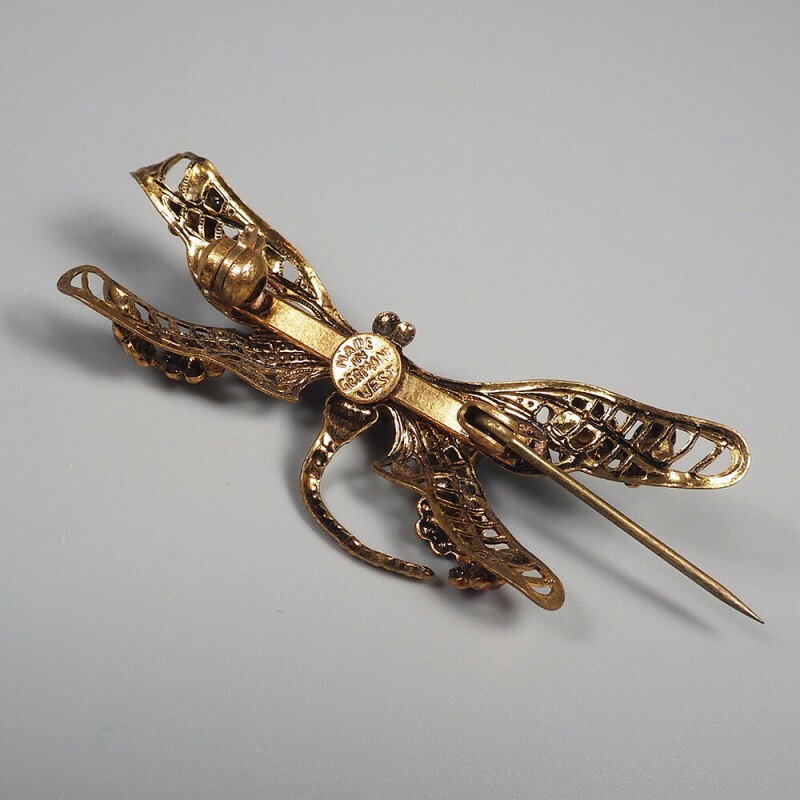 For the individual fascinated by beautiful insects that take flight, a vintage dragonfly pin with rhinestone filigree wings, made in West Germany circa 1960. 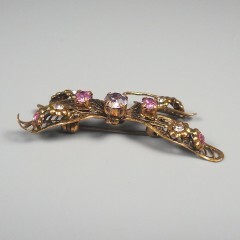 The rhinestones are in two tones of pink, a delicate blush and a brilliant hot pink, with the dragonfly filigree body done in an antiqued gold wash or bronze finish. Pin measures approx. 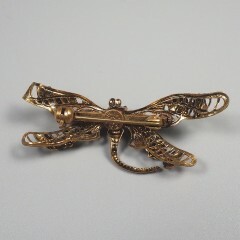 2 inch wide across the wings and is marked Made in Germany West.